Nikita has worked as a hairstylist for three years, and in this short time has won assistant of the year, placed first in the Irish Hairdressers Federation (IFH) Blow Dry category and gained a place on the inaugural IHF prestigious star team. The IHF star team has enabled Nikita to travel to Salon International in London, and work with some of she most talented and creative people in the industry. 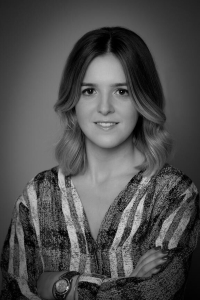 Nikita has also been an EIMI Wella ambassador, was nominated for Dublin Trainee of the Year, Educator, and her media work has included a fashion shoot for Image magazine. MOTTO: When life gives you lemons you make lemonade.